You'll explore the less-touristy side of things at Edwin B. Forsythe National Wildlife Refuge and Kettle Creek Environmental Education Center. Relax by the water at Ponquogue Beach and Fire Island National Seashore. Explore New York City's surroundings by going to Sam's Point Preserve (in Cragsmoor), Black Creek Preserve (in Esopus) and Shinnecock East County Park (in Southampton). There's still lots to do: take a memorable drive along The Delaware & Lehigh National Heritage Corridor, don't miss a visit to Mohonk Preserve, identify plant and animal life at Holtsville Ecology Site, and contemplate the long history of 9/11 Memorial. 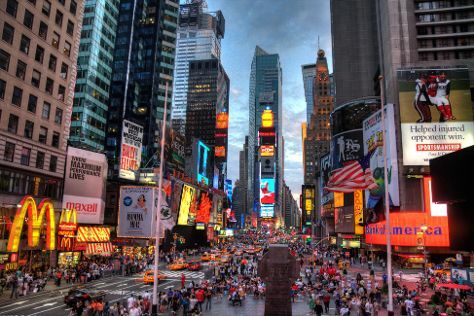 To see other places to visit, more things to do, ratings, and other tourist information, go to the New York City trip planning site . If you are flying in from Slovenia, the closest major airports are La Guardia Airport, Newark Liberty International Airport and John F Kennedy International Airport. In March, daily temperatures in New York City can reach 11°C, while at night they dip to 1°C. Wrap up your sightseeing on the 15th (Fri) to allow time to travel back home.